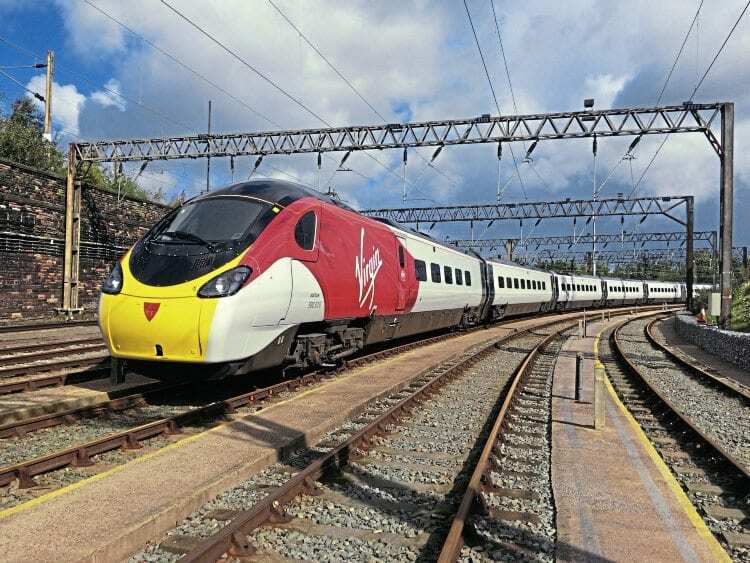 Virgin Trains has begun a rolling programme to repaint its fleet of 56 Class 390 sets – their first major new look, apart from promotional specials, since they were first introduced to the West Coast Main Line in 2002. No. 390010 was the first to be given the new look, with the work being done at Alstom’s recently-opened facility in Widnes. The new livery has been named ‘flowing silk’ and is similar to that which will be applied to the Class 800 and 801 ‘Azuma’ sets being built for the Virgin East Coast route. At present, only the driving cars feature the design, with the rest being turned out in white with black doors – this pending the outcome of the competition to run the next West Coast Partnership franchise, which is due to be awarded in November 2018 to commence in April 2019. As part of the repainting, the fleet’s cast nameplates are being replaced with vinyl versions. No. 390010 is pictured showing off the new look at Edge Hill (Liverpool) on September 14 before re-entering service. Virgin Trains.